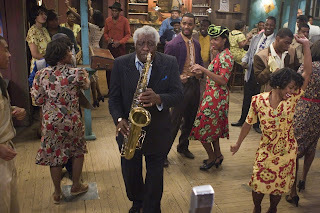 Set in a 1950’s Alabama, this passionate film about the birth of rock ‘n’ roll takes protagonist Tyrone Purvis (Danny Glover) in search of a miracle to save his roadhouse from bankruptcy. When a grand notion of recruiting regional celebrity and blues guitar stars turns into a suspenseful Saturday night he is left with the talents of one man equipped with a guitar like none ever seen: carved from a solid block of wood, and, unbelievably, electric to save the juke joint. Honeydripper is an inspiring example of the ability cinema has to transcend boundaries of culture and era. Screening Location:AMC Courtney Park, 110 Courtney Park Dr.